There is nothing quite so rewarding as rehoming a shelter dog and with thousands in rescue centres up and down the country, not only are you offering them a loving home, but you are also making room for another dog who is equally deserving. Rescue centres are under resourced and often overcrowded and some shelters only have a limited time before euthanasia is considered. Older dogs and those will health issues are often overlooked and it is they that are most likely put to sleep if homes cannot be found. Taking on any dog is a huge commitment and taking on a rescue dog can be a little more challenging. The majority of dogs end up in rescue through no fault of their own. Breakdown of marriages, moving overseas, ill health of their owners or in some cases, they just may not go with the furniture. 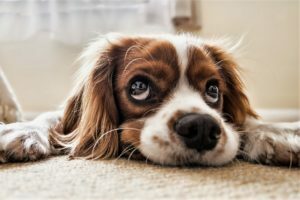 Yes it can be as heartbreaking as that!, but in some cases dogs can have been left alone for long periods of time and have therefore developed some issues, but nothing can cannot be overcome. If you live in rented accommodation, you should first check the terms and conditions of your lease. 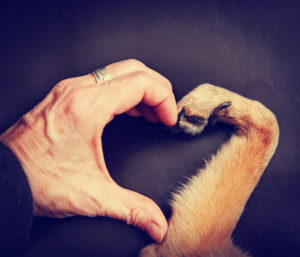 A good rescue center will undertake a home visit to check that your house is a suitable environment and you will need to consider that some dogs may not have been house trained meaning that your carpets may become soiled and your furniture may be at risk until they are fully trained. There are rescue centres up and down the country, but it is important to choose the right one. The decision to take on any dog should be considered carefully and the whole family should be in agreement. By rehoming a rescue dog you are taking on their history and they must be given time to adjust. Dog ownership in an enormous responsibility. You are also offering the dog a second change at happiness and deserve to be rehomed in an environment where they will be loved and cared for and they will reward you a thousand fold.